I like to archive old layouts of things, mostly because I like to see how much I've grown as a designer and code-monkey over the years. Looking at the HTML for older ones makes me cringe with how badly put together they are XD. Clicking a thumbnail will take you to a full screenshot (1280x1024). 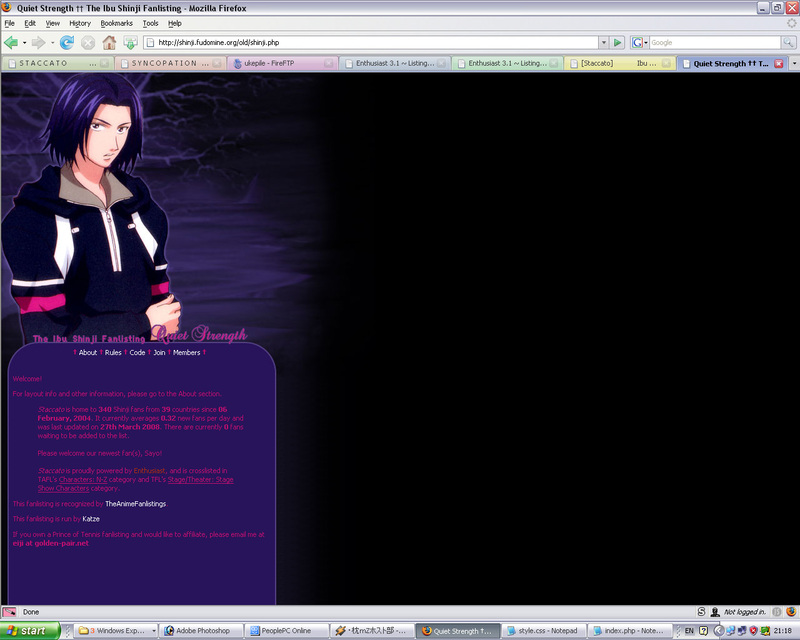 Version 2 was a iframe layout featuring images of Shinji from the manga. I'm trying to step away from frames/iframe layouts, so this one had to go. I like it, but eeeehh. Frames! This version gave the fanlisitng its new name. 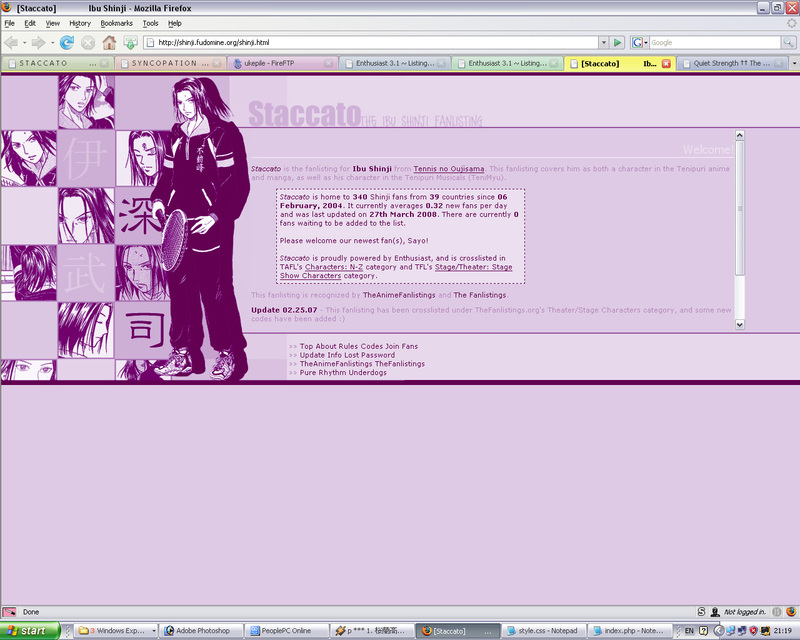 This is the most recent past layout.